These 10 winners hold some of the most innovative and impactful technology in the housing industry. From innovative startups to technology giants – this year’s winners continue to push the edge of innovation move markets forward. The future is here, and it’s because these companies continue to push the limits of possible. 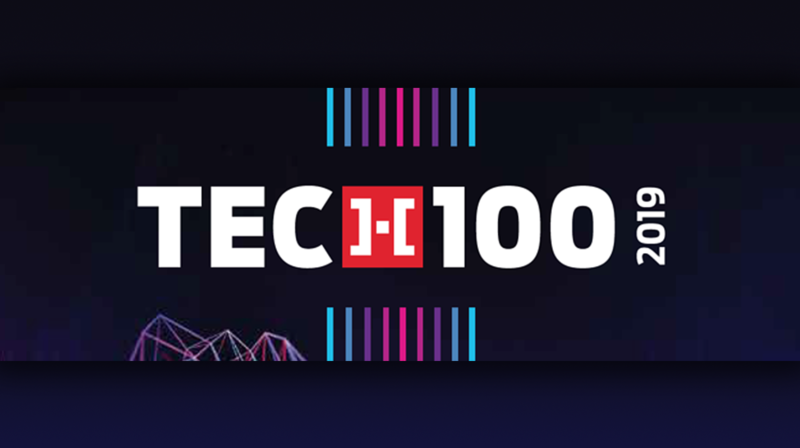 Here are 10 companies that won this year’s HousingWire Tech100 award, and keep an eye out on April 1 for the full list and for more info on each of these companies. With Arch MI’s RateStar Buydown tool, mortgage originators can customize each borrower’s MI premium to an exact dollar amount — creating a unique MI payment competitors can’t match. BeSmartee develops web-based lending platforms for lending institutions. The company utilizes its extensive list of vendor integrations, big data sources, AI technology and process automation to help its clients streamline origination processes for their customers and loan officers, from initial contact into underwriting in minutes using any device. Blend is using technology to streamline the mortgage process to create a pleasant experience for both lenders and borrowers. The company, which is already has partnerships with major lenders like U.S. Bank and Wells Fargo, expanded its industry reach in 2018 with first-of-their-kind partnerships with home builder Lennar and Fannie Mae. Baseline’s web based solutions are helping to power the reverse mortgage industry. The company launched in 2016, and in the last few years, the reverse mortgage industry has warmly received the company. CoreLogic is a global property information, analytics and data-enabled solutions provider, which leverages more than 4.5 billion records spanning more than 50 years. This robust collection of data allows the company to proactively identify holes in the mortgage origination process and develop solutions to help fill the gaps. DocMagic’s suite of technology solutions interconnect critical entities within the digital mortgage ecosystem to compliantly exchange data in real time throughout the lending process. From borrowers to originators, lenders, settlement providers, investors and servicers – DocMagic facilitates 100% paperless mortgage transactions. LendingHome continues to fine tune its tech platform. Thanks to improvements made in 2018, when a borrower applies for a loan, the tech instantly pulls every home they’ve bought and sold, as well as similar homes near the property under consideration, down to the zip code. Matic is a digital homeowner’s insurance marketplace that helps lenders and servicers integrate homeowners insurance into the mortgage process. Matic is disrupting the $95 billion homeowners insurance industry by providing insurance at the point of sale — when borrowers apply for a mortgage. Moody’s Analytics grew its capabilities in 2018 when it acquired Reis, a commercial real estate data provider, for approximately $278 million in cash. Reis provides analysis and forecasts for hundreds of metropolitan markets and thousands of submarkets in areas like multifamily, affordable housing, office, retail, student housing and senior housing. ProxyPics is a photo delivering service where users can request a photo of a specific location, for other users to complete, for a small fee. Think of it as Uber for photos. The real-estate industry and lending process experience long delays because appraisers, realtors, and inspectors drive countless miles for a real-time photo of a property.